Location: 1 Main St., San Quentin, Calif.
George Jackson was a member of both the Black Panther Party and a co-founder of the Black Guerilla Family during his long incarceration (most of his life was spent behind bars). In 1961, at the age of 19, Jackson was sentenced to a-year-to-life at San Quentin State Prison. His gang involvement, coupled with assaults on other prisoners and guards, was used to justify his prolonged confinement. After meeting W.L. Nolen in 1966, the two formed the Black Guerilla Family based on Marxist and Maoist teachings. It's rumored that after meeting Huey Newton in jail, Jackson joined the Panthers. 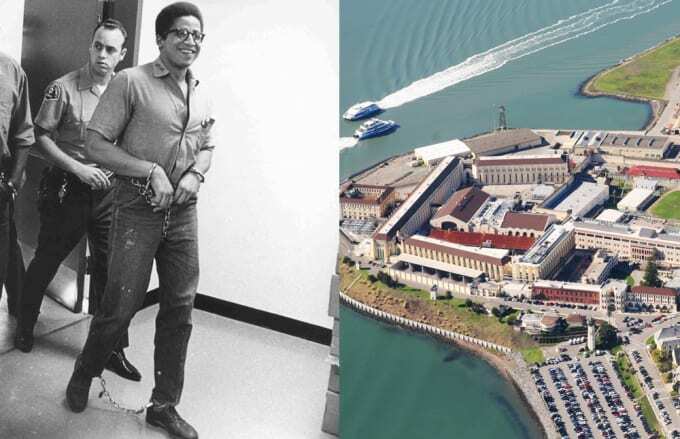 On August 21, 1971, Jackson was shot and killed in San Quentin's yard during an alleged jail break attempt a mere three days before his trial for the alleged murder of guard John Mills at Soledad prison. Jackson's supporters believe that his death was a set-up, and some members of the Black Guerilla Family were angry at Newton, believing that he used his contacts in Soledad to delay Jackson's release so he wouldn't have a rival. San Quentin State Prison is California's oldest prison, and has the state's only death row for male inmates—the largest one in the United States, in fact. Today, it's largely overcrowded, holding rougly 5,000 prisoners, well past its stated capacity of 3,000. Notable former inmates include fellow Black Panther Eldridge Cleaver, actor Danny Trejo, and early Crip leader Stanley "Tookie" Williams.